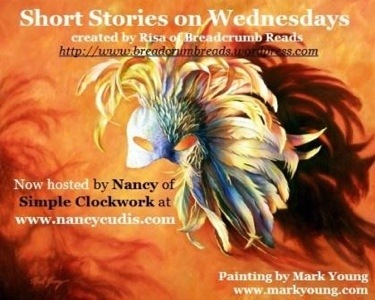 This post is done in conjunction with “Short Stories on Wednesdays,” a weekly meme hosted by Nancy at Simple Clockwork. Please feel free to participate and share with us what short stories you are reading. First, another coincidence… Although I pre-plan the 52 short stories I am to read during the year, I select the order I read them in randomly. This is accomplished by drawing a new card from a deck of playing cards, as I have assigned each of my stories to one of the fifty-two cards in a standard deck. Fate often seems to play a hand in what story I am led to read each Saturday when I do my drawing. 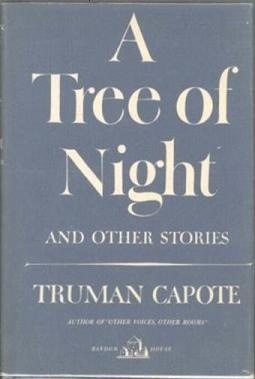 Saturday, August 25th, I drew the ace of clubs and was led to Truman Capote’s short story “A Tree of Night.” The coincidence? 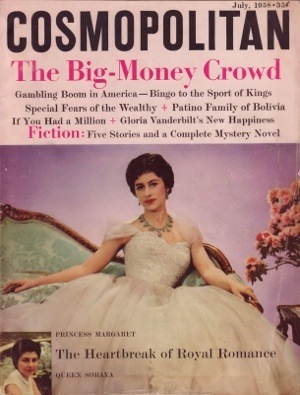 Capote died in 1984 – on August 25th. Isn’t that something? 🙂 My stories for 2012 may be found here. When our heroine, Kay, boards the train, she finds only one seat available (ah! There’s the hand of fate again), and this next to an odd-looking couple: a somewhat drunk woman and her deaf-mute male companion. Though she would rather just be left alone, Kay is continually accosted by the woman to engage in conversation. Additionally, she is put on the defensive by the penetrating, intrusive questions of the woman. Of course, the couple aren’t really “through” with Kay yet. Perhaps to not risk dispersing the atmosphere he has created, Capote does not go into detail about what manner of foul play occurs (Robbery? Or something more?) and the reader is left to fill in the blanks for himself. like that of the “wizard man,” but that these tales often remain imbedded in us, and can harm our ability to function normally – and safely – in the adult world. Something to think about, anyway. Top Ten Tuesday is a wildly popular weekly meme hosted by the talented folks over at The Broke and the Bookish. Check out their blog to see what scores of other book bloggers came up with for this week’s Top Ten Tuesday. 1. I once used an old textbook as a coaster(!) I know, I know, it’s horrendous, but – if you knew my landlord at the time, NOT using a coaster may have led to an even hotter eternal damnation. Honorable mention here goes to the fact that I almost burned my Economics textbook in college. 2. I’ve never read any of the following: Ulysses, Sense and Sensibility, Don Quixote, Little Women, The Grapes of Wrath, Catcher in the Rye, etc. etc. See the Modern Library’s Top 100 Novels of All Time for another fifty or sixty. Fortunately, this list is getting shorter. 3. I have well over six hundred books in my house about one subject – chess. 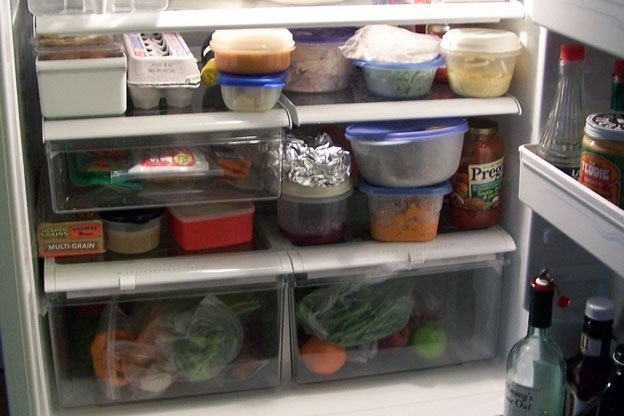 (I used to have a problem) In my defense (as if that statement were defensible!) I used to only have about half that many, but about ten years ago bought a fellow chess addict’s entire library when he was strapped for cash. I assumed he would buy them back at some point, but not yet. 4. I actually read “Fifty Shades of Grey.” Just the first book. It was written horribly enough that I didn’t go on. It had just become popular, and I wanted to see what all the fuss was about. Sometimes this works out (e.g., Hunger Games, The Girl with the Dragon Tattoo) but sometimes it doesn’t. 5. I have so many books at my house I sometimes (well, often) can’t find one I’m looking for. Catcher in the Rye? The Great Gatsby? Hemingway’s short stories? Where, oh, where are you?!? 8. I am, for being an otherwise reasonably intelligent man, a pretty damn slow reader. I hate this. 9. I once hated reading about Greek and Roman mythology. (it was because I was being forced to read it for fifth or sixth grade when I wanted to be doing other things) I still can picture that onerous blue-covered edition of Bullfinch’s Mythology. Of course (happy ending), I love it now. I even was a Classics Minor in college. 10. 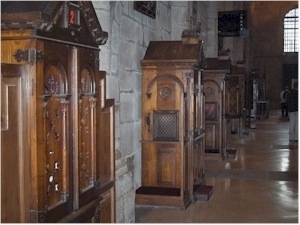 Speaking of college, it’s time for my worst confession. My senior year I took a really neat class in medieval and middle English literature. I had a really weighty textbook for it that was chock full of some of the great works. Shakespeare, Chaucer, Beowulf, etc. Between the time of my last class and graduation, I sold it back to the bookstore so my fraternity brothers and I would have more money to buy beer. Well, thats it. Guess I’ll see you “in the fires” – as Johnny Cash would sing. What about you? Do you have any bookish confessions you’d like to make? It’s good for your bookish soul. Do you feel a little bit better about yours now?? 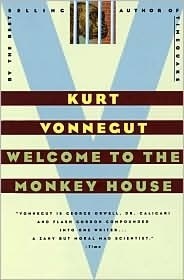 One of the books I enjoyed the most during my first year of blogging (2010) was Kurt Vonnegut’s short story collection, “Welcome to the Monkey House.” It’s only natural, then, that when I was planning my 2012 short story reading project, I would include at least one of the stories from that collection. 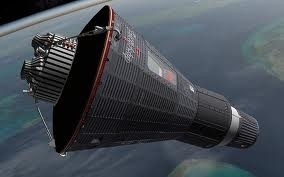 As many already know, the year 1957 marked a turning point in the new space age. 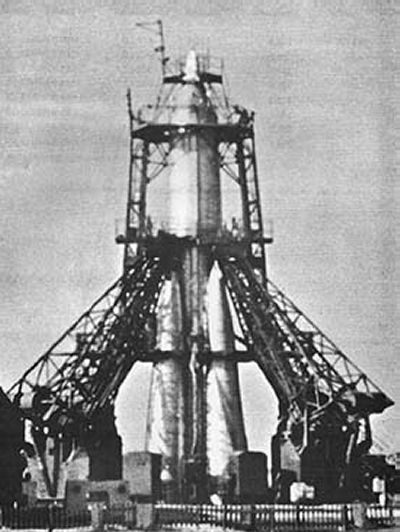 Unexpectedly – to the United States anyway – the Soviet Union launched the satellite, Sputnik, into orbit, which became a visible, public (it was visible to the naked american eye as it hurtled over our continent) reminder that we weren’t “in the lead.” It served to shock the United States out of a complacent delusion of technological superiority and was an event that sparked the “space race” which led t0 the July 20, 1969 moon landing. This story is unique among Vonnegut’s work because it was the only thing he wrote in “epistolary” form. It consists entirely of an exchange of letters between the fathers of a pair of astronauts, one American and one Russian (I guess I should’ve said an astronaut and a cosmonaut?). Anyway, we learn that both sons are dead and their deaths are somehow related (Vonnegut withholds the details, portioning them out gradually). The Russian son, Stephan Ivankov, is the first man in space and the American son, Bryant Ashland is sent up immediately after Ivankov in a kind of reckless technological one-upmanship between the nations. An “accident” has occurred, however, and both sons were killed. 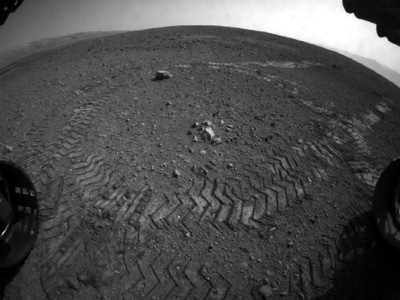 The story is made even more poignant by the fact we learn near the end that the two “baby moons” (that’s how Vonnegut refers to satellites and spacecraft in the story) have, after the accident, split into a bunch of baby moons, drifting apart, two of which are… Ivankov and Ashland. 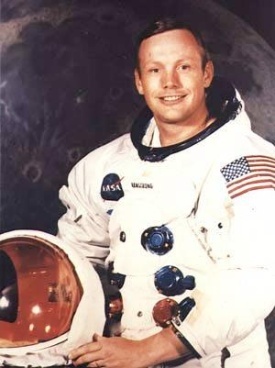 This weekend also marked the passing of American Astronaut, Neil Armstrong, who became the first human to walk on the moon eleven years after this story was published. 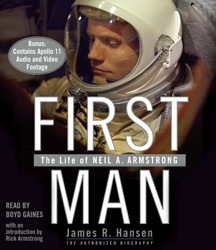 A few years back, I read a good biography of Armstrong, “First Man: The Life of Neil A. Armstrong” by James R. Hansen. It’s well worth reading, if you’d like to learn more about the remarkable life of an inspiring man. As the size of a book club grows, the amount of time each member has to be heard shrinks (assuming the length of the meetings remains the same). This is beginning to happen to the Kurt Vonnegut Memorial Library’s book club. I went to our July meeting armed with several things I would like the group to talk about, but didn’t get a chance to voice most of them. This is fine. I have a book blog where I can talk about anything I want. 🙂 So as a result, I have some leftovers from the book I’d like to share. Published in 1981, Palm Sunday is an outstanding collection of mostly essays, speeches, and excerpts from letters with a sprinkling of previously unpublished fiction. 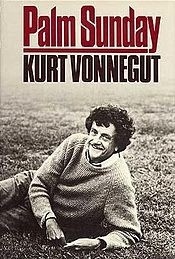 It’s not a book I would recommend to those not already familiar with Vonnegut’s oeuvre, but is full of his trademark witticism and truth-speaking, no matter if the latter may be painful to the reader. One of our members, Karen, asked a great question near the end of the meeting, and we didn’t really have time for everyone to weigh in on it. It is perhaps more appropriate for our group, where most of us have read a lot of Vonnegut already. Her question was, “What new thing did you learn about Vonnegut from reading this book.” My reflex answer would be something cheesy like, “too much to pick just one,” but I’ll share a couple. Another hitherto unknown trove of information dealt with his family history, presented as it had been compiled by a family friend named John G. Rauch. It’s always interesting to learn more about the background of a favorite artist, and the urge to come up with some “Ah, well THAT explains it!” moments is almost irresistible. In reality, though, too many factors are in play to truly figure out why someone “turned out the way he did.” Vonnegut adds a page or so with the postscript of Rauch’s history. Quoting Goethe, he advises that “Whatever it is that you have inherited from your father, you are going to have to earn it if it’s to really belong to you.” Words of wisdom. 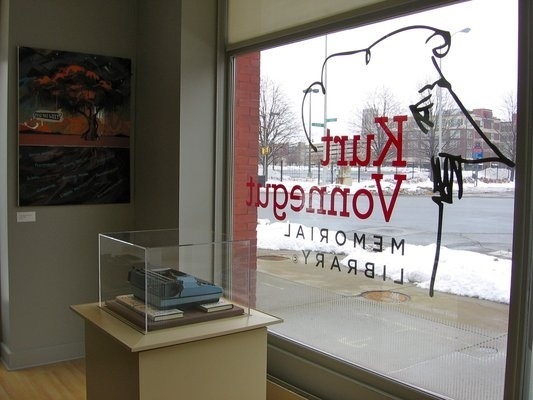 Vonnegut also gave us a little more of a glimpse into his time at General Electric in Schenectady, New York. 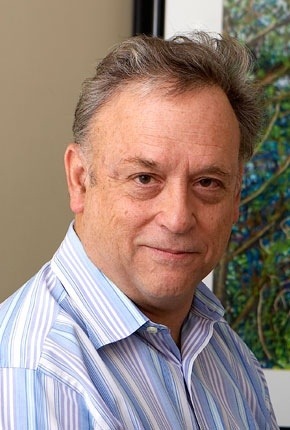 He expresses that he has a mysterious (he actually uses the word “irrational”) persisting concern about whatever became of his coworkers there, noting that they became a somewhat tight-knit group and that they shared the common ground of all “just getting our footing as adult citizens.” He also speculates that “I may have been born with some sort of clock in me which required me to love those working alongside of me so much at that time.” He sadly adds that the company’s view of what sort of relationship they should have with their coworkers was different. “It was the Darwinian wish of General Electric, of the Free Enterprise System, of course, that we compete instead.” Sad. He lasted there three years, from 1948 to 1951. Coincidentally, I just finished my third year at the most “corporate” job I’ve ever had. Almost gives me the idea it’s time to go. Hmmm…. There were some parts of the book that I didn’t enjoy, though, particularly a labored “musical comedy” based upon Robert Louis Stevenson’s “Dr. 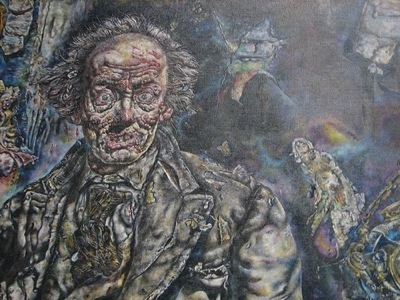 Jeckyll and Mr. Hyde,” for which I couldn’t wait to end. The strongest parts of the book to me were the author’s interview of himself (chapter five) as published in the Paris Review in 1977. You can tell Vonnegut is happy to seize the opportunity to answer all those questions he wished he had been asked. Great stuff. Now, what was that I was saying earlier about heredity…? 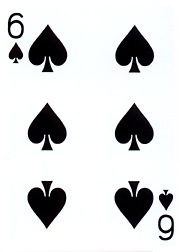 I drew the six of spades from my short story deck this past weekend. This year, stories in that suit are supposed to be of the “Ghost, Scary, or Sci-Fi” category. 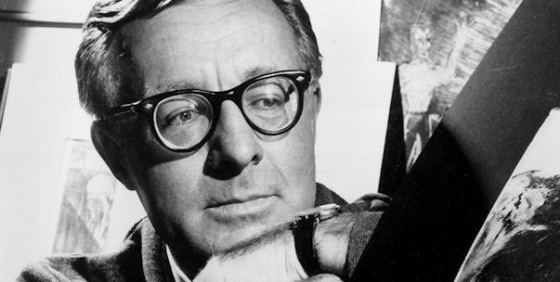 An argument could be made that this Bradbury story qualifies on all three grounds. The human experience has been changed in many ways by technology. One of these ways, which this story led me to ponder about would be a human’s sometimes increased knowledge of the specific time of our inevitable death. We do not hear the old-time stories where a doctor gives his patient “six-weeks” to live* or some other somewhat arbitrary period as often as we used to. 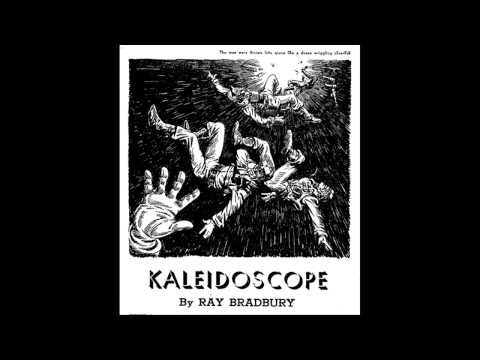 As our medical science has become more precise, so has its ability to more closely estimate the time of our “expiration date.” In this short story by Bradbury, the crew of a rocket ship that has been rocked by an explosion knows exactly how much time will elapse before their life must end. 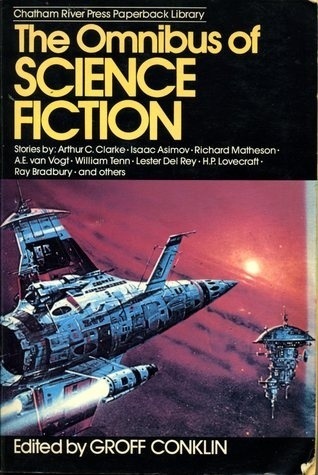 Though hurtled into space through a gaping hole in their ship, the crew are protected by their spacesuits, but do not possess any means of locomotion. They have become human satellites. The radio transmitters in the helmets are functional, though, and that allows the handful of crew mates to maintain conversation as they fly apart in whichever direction the blast sent them. Knowing their doom is imminent, the men react different ways. Some with childlike terror, some with bitterness, some with meanness, some with the contentedness of A Life Well Lived. The character from whose point of view the story is predominantly told is the captain, Hollis. He muses about things in his life left undone and dreams unfulfilled. Of all the crew, he is the only one for whom his trajectory will lead him to fall into Earth, which allows a cute, poignant ending to this tale. Not a bad story, but not among the best I’ve read this year either. ***SPOILERS ALERT**** Sherwood Anderson is most famous for a collection of related stories titled “Winesburg, Ohio.” Neither this story, nor the other Anderson story I read this year, “The Egg,” are part of that collection, however. When reading “Seeds,” I was immediately reminded of a fraternity brother of mine from college, who frequently taunted his older brother, who majored in psychology, with thoughts of becoming a psychiatrist (as it turns out, he didn’t). The younger brother always said – of psychiatrists – “they never actually CURE anybody!” I always suspected there was a kernel of truth in this, and after reading this Sherwood Anderson story, suspect he felt the same way. The story then has a total change of setting and time, and the narrator tells us a seemingly unrelated story of an unmarried young woman who came to Chicago from Iowa, settling in a boarding house and attracting the attention of all the young men around with her sometimes forward yet inconsistent behavior. She would clearly be identified, in today’s world anyway, as someone with some kind of “mental health issues.” Her behavior wears old, and as she is about to be expelled from the house, a hero intercedes on her behalf. Anyway, to make a long story short, LeRoy’s intercession on the woman’s behalf, in the end, came to nothing and reinforces the narrator’s belief in his original conversation with the psychoanalyst. In a kind of nifty role reversal, the narrator tries to suggest to LeRoy how he might have handled the situation differently. LeRoy counters with, almost verbatim, the same arguments used by the narrator at the beginning of this tale. I wonder if what Anderson ends up trying to say with this story is that neither the narrator nor the psychoanalyst have it right about human nature and interrelation, and that perhaps it takes a uniquely sensitive character, like LeRoy, to hit upon the right mix of involvement and laissez-faire when it comes to dealing with others. I found it a very interesting, thought-provoking story. I read it through a couple of times in an attempt to plumb its depths – and still probably missed a lot. How about you? 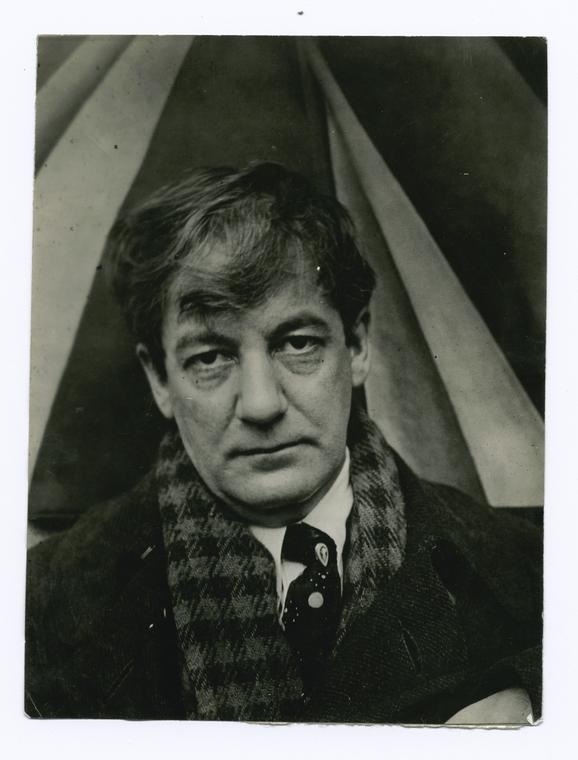 What have your read by Sherwood Anderson? Any favorites? And what short stories have you read this week or recently? It’s August already, and time to think about what reading I might be able to accomplish in the new month. Strangely, for the first time in a long time, I don’t really have much of an idea which direction I’m going in an upcoming month. 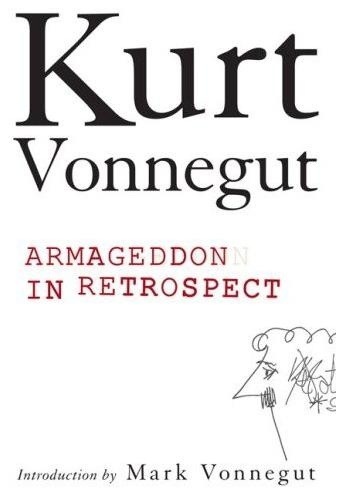 The one exception is Kurt Vonnegut’s “Armageddon in Retrospect,” a posthumously published collection of essays on war and peace that is being read by the Kurt Vonnegut Memorial Library’s book club for August. Worth noting is that this book, I think, is the ONLY Vonnegut book I haven’t read yet, so this will be the last ’first read’ I’ll be able to do of one of his books. I’m both proud of and sad about this. What else, hmm… Well, I’ll have four or five short stories as part of my annual project, but I won’t know what they are until I draw a card from those remaining in the deck each Saturday morning. By the way, I was thinking about making my annual short story “Deal Me In” project a public Reading Challenge next year. Do you think many (any) people would be interested? I’ve never hosted a challenge at Bibliophilopolis, so I’m apprehensive. What other books might I read? I have started Claire Tomalin’s biography of Charles Dickens, which would count toward my “author biography” project that I’ve been neglecting. I’m also very interested in the new bio of the Bronte sisters that I think has just come out, or is about to. It weighs in at a staggering 1,000+ pages, though. Maybe I’ll finally get around to Panther in the Sky by James Alexander Thom too, as I’ve been promising for some time. 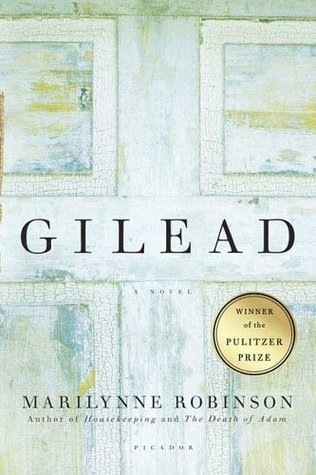 Another possibility is Marilynne Robinson’s “Gilead,” which got my attention a while ago, and of which Dale at Mirror with Clouds has reminded me of recently. Geez, I have 20 books on my “to read” shelf on Goodreads.com. Seems like I ought to be able to come up with something, right? Or… perhaps you could help guide me. What do YOU suggest I read in August?